Okay, be honest. How many of you saw those EZ-Glide ears from 3-M and went “Oooo, must have those….”? This is the kind of technical articles needed by those of us who are ‘remote’ from any Bench Rest/F-Class community. At the moment I an using a mass produced joystick rest. 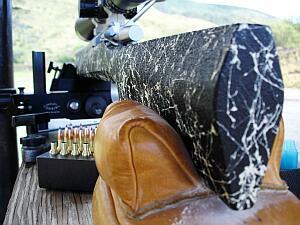 Shot a 300yard 1/2″ 4 shot with it using a rifle purchased from a forum member but had some tracking problems. Waiting to figure out which ‘competition grade’ front rest to change to and will add the knowledge from this article to the ‘plan’.